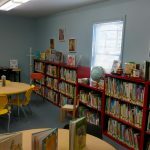 The Fair Haven Library was born in 1899 with a donation of $48 and opened in part of the upstairs of a big two-story brick building that was located on the corner of Richmond Avenue and Main Street. The Post Office was located on the first floor as well as several businesses to sell such things as shoes, clothing, magazines, dry goods and groceries. The second floor became a community center for the village where they held many activities. On November 1, 1899 the Fair Haven Library opened on the second floor above the Post Office. 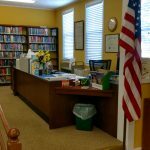 The library was to have several newspapers and periodicals as well as regular hours. Around 1920, the big brick building was condemned when new laws made it a fire trap because there was only one exit from the upstairs and the stairs were made of wood. 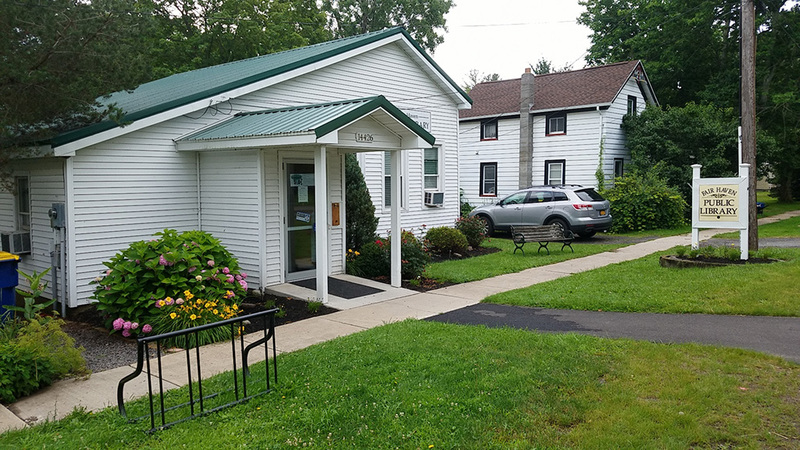 So the Library moved to a public building that had been made to house the jail and fire fighting equipment, but was also used for other village things – one of which was the Village Hall. This building is the same building that houses the library today, however, the building was not open on a regular basis so it was hard to use the library. 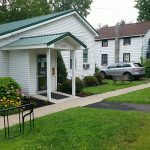 In the late 1920’s the small collection of books were moved to the home of the Laura Harrison family, located on Main Street, where public access would be easier than it was at the Village Hall building. 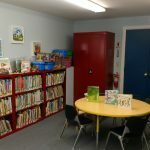 Around 1946 the Fire Department got some more equipment and moved into another building which freed up more room in the public building so the Fair Haven Library moved back into the public building (the old jail) around 1950. 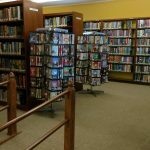 The library obtained most of it’s books from donations at this time and by 1953 had 1,246 books to choose from. In 1958 the library was moved into the Phillips home on the east corner of South Fancher and Main Street. 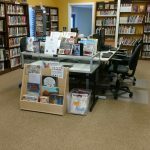 Mr. & Mrs. Lynn Parker moved into the home and agreed to make the books available to the public, but still, few new books were made available because of a lack of funds. Around 1965 the Village offices moved out of the public building (the old jail). 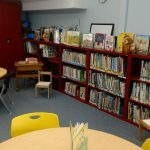 the jail cells were removed and a heating stove was installed, making some more room so the library moved back into the building. By this time, the village was helping with some funds and the library was getting some donations so the inventory started to increase. By 1966 the book inventory had increased to 3,105 books. In 1976 a project to renovate the Library was begun but it had to be done in phases as funds became available. At the completion of this project, the Library building was much as it is today with a few improvements to the building. 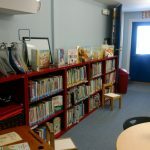 Since the completion of the project, the Library has grown and become more active with programs for all ages. 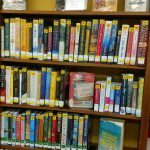 The number of books has grown and the Library has many DVD’s as well as several computers that are available to use. 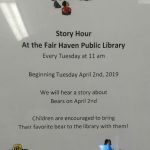 The above information was taken from the book Fair Haven Public Library – A History. 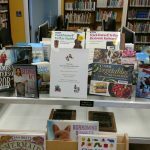 A more complete history of the library can be seen in the book Fair Haven Public Library – A History written by Susan Parsons. This book can be viewed at the library. 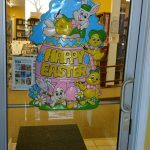 The book can also be purchased at the Fair Haven Public Library for $5.00.